Each year Accountants and Business Advisers Johnston Smillie nominate a charity to support and in 2018 it was a unanimous vote from the directors and staff, to again fundraise for SMA Support UK. SMA or Spinal Muscular Atrophy is a rare, genetically inherited neuromuscular condition and in 2016, Craig, one of their client managers, discovered that his son Zac had this condition and as a result, Johnston Smillie just had to raise as much funds as they could. SMA causes progressive loss of movement and muscle weakness as a result of muscle wasting (atrophy). The condition may affect crawling and walking ability, arm, hand, head and neck movement, breathing and swallowing. Through the fundraising efforts in 2017, Johnston Smillie raised over £14.5k which they were delighted about. 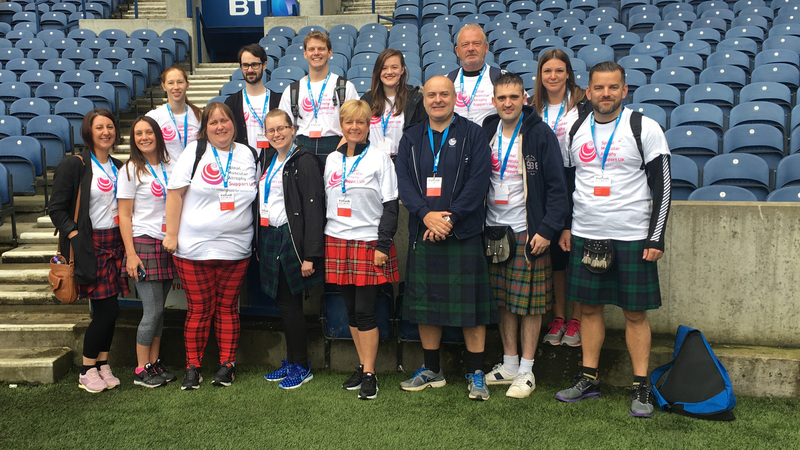 During the year, several members of staff and Zac’s dad Craig took part in the Kilt Walk and they were delighted to raise over £4.5k in fundraising for that event alone. This year, the staff, families and friends of the firm will be organising many events to raise further funds for this deserving cause and they have already booked dates for their annual Charity Quiz at Le Monde in Edinburgh and a Charity Lunch which will be held in November at Turnhouse Golf Club, as well as Julie Hunter, Payroll Manager and Angie Harvey, Marketing Co-ordinator who have registered for the Great Scottish Swim in August when they will swim a mile across Loch Lomond. In 2017 Zac was selected to be put on the trial of a new drug called Spinraza. The drug is the first and only approved treatment for SMA. So far results of the treatment have been positive and Zac has seen significant improvements in his mobility and strength, as well as keeping in good health generally.